Zach Howser is an associate with Leake & Andersson who joined the firm in 2018. Zach practices general civil litigation and aggressively advocates for defense clients in the areas of insurance coverage, general casualty, products liability, premises liability, and worker’s compensation. Zach received his Juris Doctor from Louisiana State University. 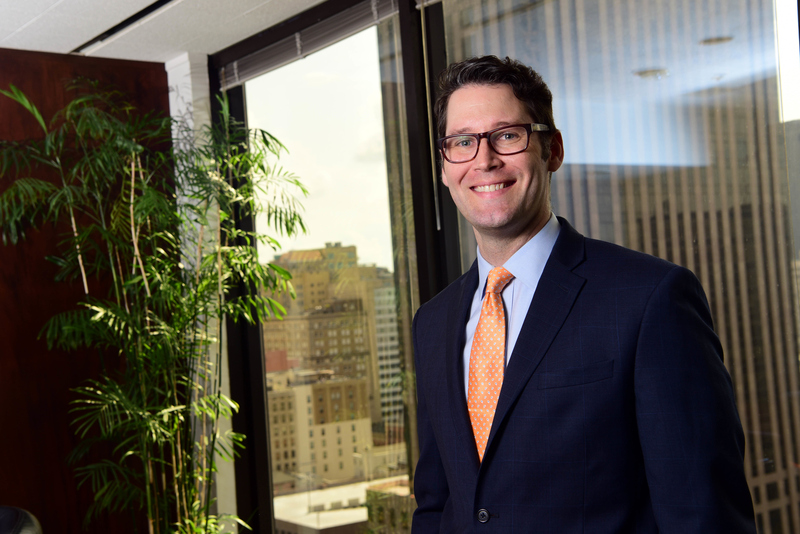 While in law school, Zach served as the Editor-in-Chief of the LSU Journal of Energy Law and Resources and was a member of LSU Law’s Moot Court Board, as well as serving as an intern at the Louisiana Supreme Court for Justice Jeannette Theriot Knoll. Zach has an M.A. in History from Clemson University as well as a B.A. from Louisiana State University. Prior to law school, Zach worked for five years as an educator in New Orleans at the high school and collegiate level. Prior to joining Leake & Andersson, Zach practiced for 3 years in New Orleans in the areas of insurance defense and toxic tort litigation. He is a member of the Louisiana and New Orleans Bar Associations. Zach is a native of Port Allen, Louisiana and lives in New Orleans with his wife Erin and their two dogs.